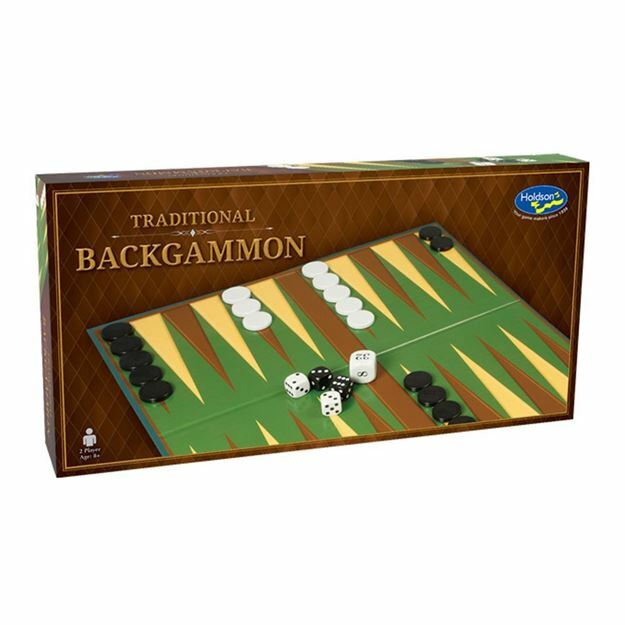 Backgammon is one of the oldest know board games. It's history can be traced back nearly 5,000 years! It is a fast moving two player game of skill that involves a combination of strategy and luck. Each player has 15 pieces (checkers) which move between 24 triangles (points) according to the roll of the dice. The object of the game is to be the first to move all 15 checkers off the board. For 2 players. Age 8+ years. Made in New Zealand by Holdson.